“Nothing is off-limits” – except a full merger. 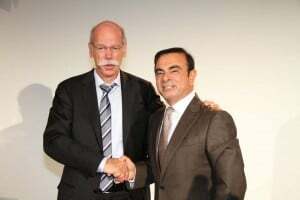 Daimler Chairman Dieter Zeetsche and Renault/Nissan CEO Carlos Ghosn celebrate the expansion of their 30-month-old alliance. Just about anything is possible as Daimler, Renault and Nissan announce yet another big expansion of their global alliance – except for the possibility of a full-out merger, the CEOs of the three makers said during a joint Paris Motor Show news conference. The partners have rapidly added a wide range of new projects since first revealing a limited series of joint ventures in 2010. The latest move will see Daimler, Renault and Nissan jointly developing a new generation of compact engines while also sharing transmissions. Meanwhile, Daimler could announce an even more expansive program before year-end that would have it share in a new assembly complex Nissan has already announced for Mexico. “Over time, we have built up so much trust we are working like hand and glove,” declared Daimler Chairman and CEO Dieter Zetsche, sitting alongside Carlos Ghosn, the CEO of both Nissan and Renault, who expressed similarly upbeat sentiments about an alliance the partners expect to save billions of dollars in the coming years – while also helping the makers rush new product to market at a faster pace. “Potential pros and cons,” says Zetsche. 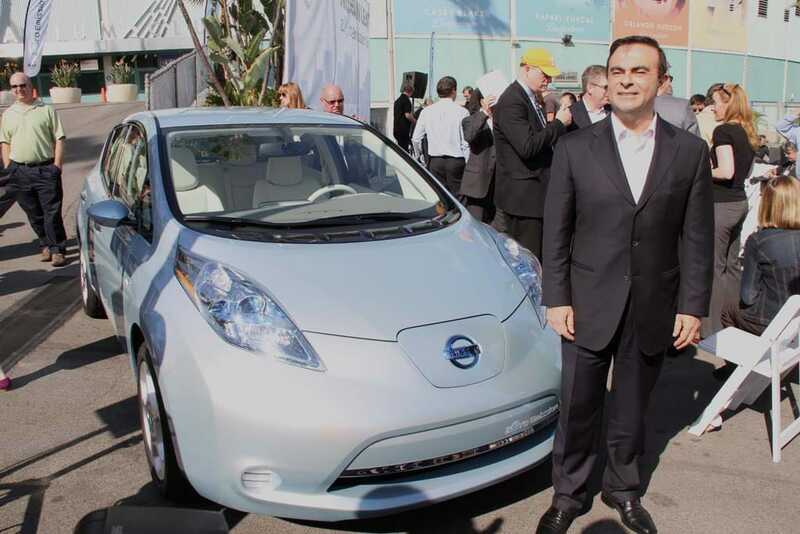 Zetsche is apparently leaning towards sharing a Mexican assembly plant with Nissan. Daimler AG will “probably” announce by year-end a decision on where it will build a new North American assembly plant, Chairman Dieter Zetsche tells TheDetroitBureau.com, and there is a strong possibility that the new factory will be part of a planned mega-complex alliance partner Nissan has already committed to in Mexico. 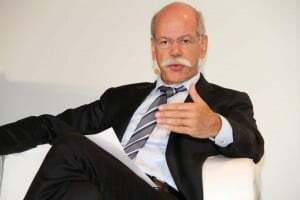 “We are investigating the potential of our plants operating together,” said Zetsche, confirming a story first reported by TheDetroitBureau.com earlier this year. Daimler needs more capacity to supply North America and other markets , having reached the limits of what it thinks can be done out of its existing Mercedes-Benz assembly plant near Tuscaloosa, Alabama. 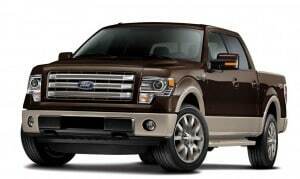 Until now, Zetsche had only confirmed that it was looking at various sites in the U.S., Canada and the U.S.
King Ranch F-150 gets more luxury, technology and bling. The 2013 Ford F-150 King Ranch gets a new three-bar grille and a new chrome option for even more style. When Ford debuted the F-150 King Ranch SuperCrew in 2000, the truck market had never seen anything like it. It was a match made in marketing heaven. Team the country’s best-selling truck with one of the largest and most famous ranches in the world, located in Texas, the biggest truck market in the country. Cover the interior in sumptuous Chaparral leather and you’ve got a range-topping truck that shines a halo on the whole line. The King of Automotive News! So to update the King Ranch edition, Ford added more luxury details, more technology and more bling and introduced it where it only makes sense – the State Fair of Texas. 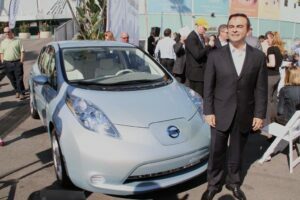 Nissan CEO Carlos Ghosn, shown with the Nissan Leaf during its public debut. The floor of the Paris Motor Show is covered with an array of hybrids, plug-ins and pure battery-electric vehicles, the latter ranging from the little Nissan Leaf up to the new Mercedes-Benz SLS AMG Electric Drive. But barring a sudden shift in consumer sentiment, demand for battery-based products has filed to charge up the sales charts. That’s particularly true for the Leaf, which has experienced an unexpectedly sharp decline in demand in the critical U.S. market this year. The world’s fastest electric vehicle. The SLS Electric Drive will feature the same gullwing doors as the conventionally powered SLS Coupe. For those who think that going green requires significant sacrifices – starting with that concept known as “fun-to-drive,” a stop at the Mercedes-Benz booth at the Paris Motor Show is clearly in order. While the German maker isn’t the first to argue that battery cars can deliver reasonably good performance, it’s set to provide the new benchmark with the Mercedes-Benz SLS AMG E-Cell. In fact, you’ll already be close to extra-legal speed in the time it would take to read that last sentence. This red-hot green machine, painted a high-gloss blue for its debut, can volt – make that bolt – from 0 to 100 kmh (62.5 mph) in just 3.9 seconds, on the way to a top speed of 250 kmh (155 mph). 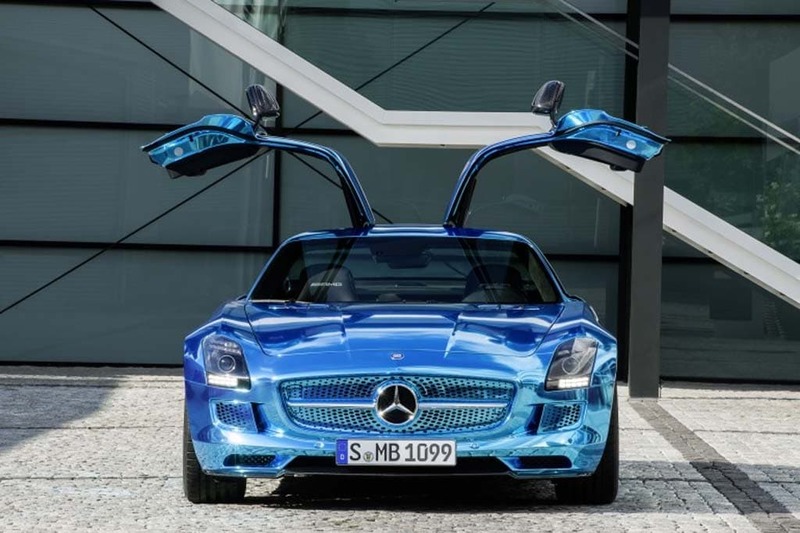 While that’s about 0.3 seconds slower than the conventional SLS Coupe the Mercedes battery supercar nonetheless now lays claims to being the world’s fastest production electric vehicle. Sport compact hybrid now gets Sport-Plus mode. 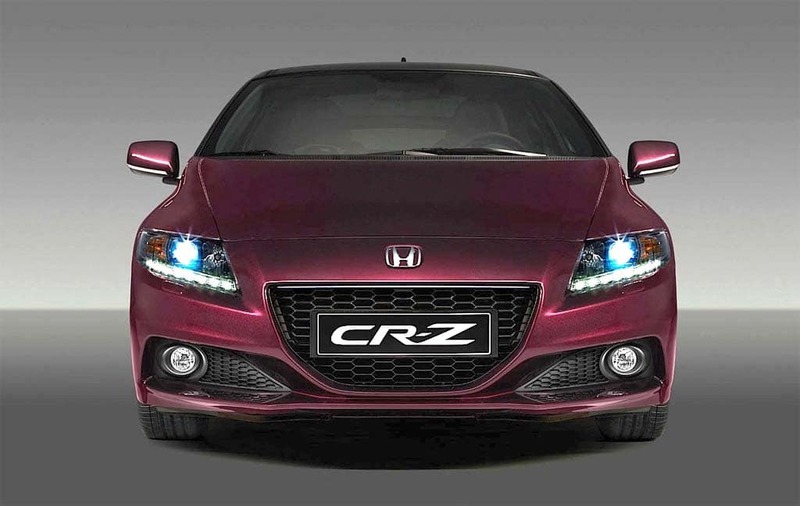 Honda hopes to kick-start sales of the CR-Z with a significant boost in performance. Though its new Accord may be winning favorable reviews, Honda has admittedly missed the mark with a number of recent niche vehicles – especially hybrids like the Insight and CR-Z. The latter was a particular disappointment coming as the long-awaited replacement for the Japanese maker’s old CR-X sport compact. 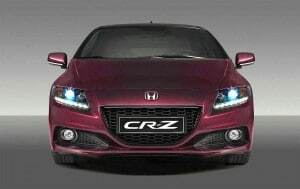 So, there were some anticipatory celebrations when Honda revealed plans to unveil an updated version of the CR-Z in Paris designed to punch out a bit more performance than the hybrid-powered model that debuted in 2009. Honda came through with a royal purple update that gets a number of welcome modifications – including 13 more horsepower and a new lithium-ion battery pack that allows the 2013 Honda CR-Z to operate in S+ mode – a hybrid alternative to turbocharging – for up to 10 seconds. 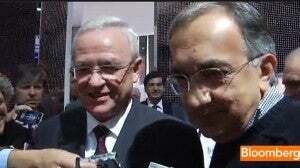 Winterkorn, Marchionne find some common ground over industry crisis. Smiling faces? VW's Martin Winterkorn and Fiat's Sergio Marchionne emerge from a meeting aimed at resolving their vocal and public differences. Photo credit: Bloomberg Television. Two of Europe’s top automotive executives have – at least for now — papered over an increasingly fractious dispute that threatened to further divide an industry facing a sharp slump in sales and increasingly serious losses. The dispute between Volkswagen CEO Martin Winterkorn and Fiat CEO Sergio Marchionne has been brewing for months but seemed to reach a new level of frustration in the build up to the 2012 Paris Motor Show – which industry officials have hoped might help rekindle European consumers’ love affair with the automobile. The two executives emerged from a meeting of the European automotive trade group ACEA, Friday morning, shaking hands and promising to work together to find common ground in an industry expected to reach a 17-year low in sales this year. The move preserves Marchionne’s role as the chairman of the group – a pulpit he has used to try to get reluctant German makers to agree to steps that could help ailing rivals, especially those from France and Italy. A spiritual successor to the original McLaren F1. 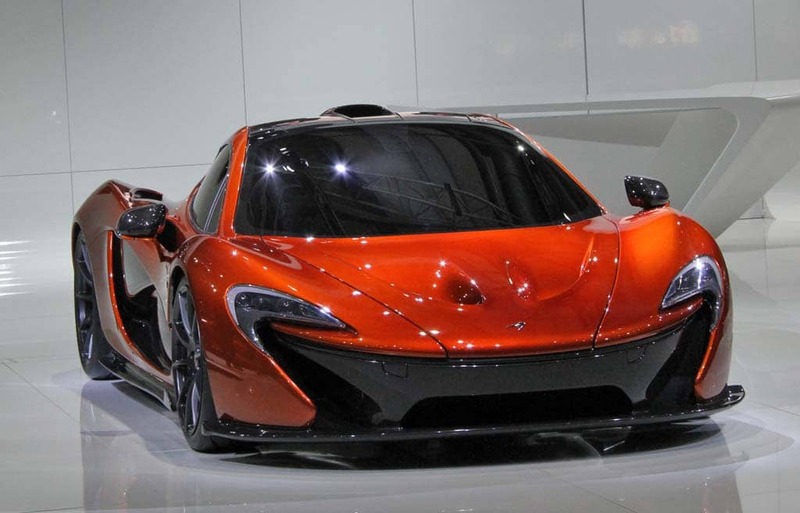 McLaren is keeping key details close to the vest, for now, but confirms the P1 will go on sale by spring 2013. McLaren is billing the new P1 as the “ultimate supercar,” a claim the folks from Ferrari and Lamborghini might protest. But it’s the closest we’ve yet seen to the legendary McLaren F1 of more than a decade past – and its rollout at the Paris Motor Show generated more excitement than just about any other introduction at the biennial show. Since its founding as a race team, McLaren has never been anything but ambitious – and its success on the Formula One track is proof positive of its capabilities, underscored Chairman Ron Dennis, who declared, “”The McLaren P1 will be the result of 50 years of racing and road car heritage,” during the well-attended unveiling at the Mondial de l’Automobile. Auto News You Need from a Source You Trust! Like rival British sports carmaker Lotus, McLaren has laid out an ambitious target – in this case, rolling out a new model every year. In McLaren’s case, it’s delivering. The P1 will be its third new offering starting with the MP4-12C and the newer convertible version of that 2-seat supercar. Audi reveals a hot hatch and a cool convertible. 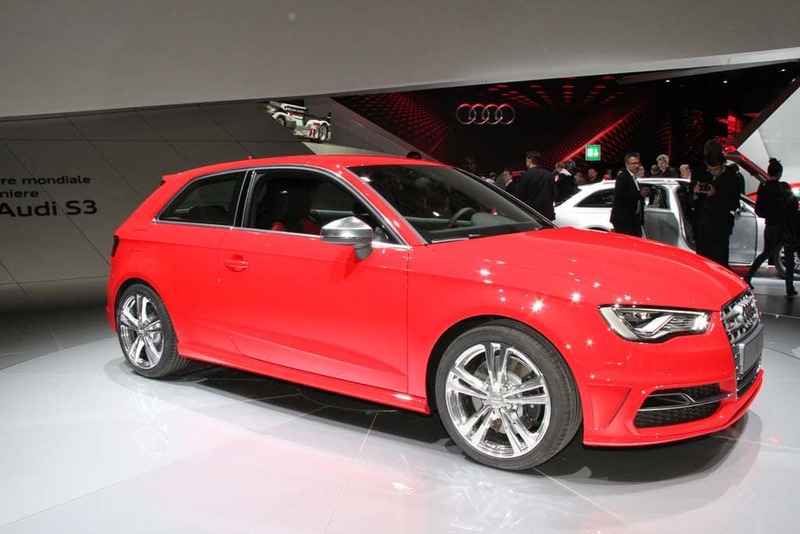 The new Audi S3: no plans for the States. There was plenty of action on the Audi stand during the first Paris Motor Show press day, the maker balancing the futuristic Crosslane Cabriolet Concept with two more down-to-Earth production models. But that doesn’t mean that either the new S3 compact sport hatch or the new RS5 Cabriolet would fall into the mundane category. They’re two degrees of hot, the latest performance models in the expanding Audi assault on rivals BMW M and Mercedes-Benz AMG. The good news for U.S. drivers is that the coupe cabrio will land in U.S. showrooms sometime during the first quarter of next year. For now, however, there are no plans for the hot hatch to make the trans-Atlantic leap. That’s doesn’t mean we won’t see an S3 option sometime in the future, however. Audi is working up a new sedan version of the A3, not confident it can generate enough sales of a hatchback. The sportier “S” designation may be in the works following the launch of the 4-door model. Can passion and hybrids co-exist? 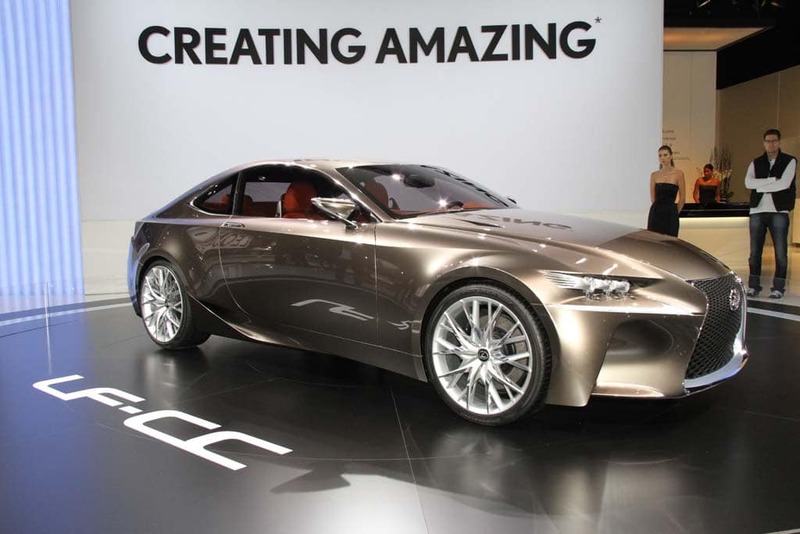 The Lexus LF-CC Concept appears to be very, very close to production-ready. Lexus has been dropping a number of surprises in recent months – all meant to demonstrate that it’s serious about pumping more “passion” into the brand. The latest effort, the LF-CC Concept, may be the most aggressive example of that to date, taking the maker’s L Finesse design language to new extremes — with a bold new iteration of the Lexus spindle grille that has become the symbol of the brand’s new direction. Auto News You Can Use! Likely to return in production form, the Lexus LF-CC is making its formal debut at this year’s Paris Motor Show. And it also emphasizes that the Japanese brand’s love affair with hybrid technology isn’t cooling down. The brand’s U.S. boss, Mark Templin, told TheDetroitBureau.com last month that by mid-decadeLexus will have eight, possibly even nine, gas-electric offerings in its line-up.